If you are a fan of the major ball sports you can find all the fan gear you want at every turn - jerseys, books, movies, art... It's everywhere. We'd love to have that kind of access as track fans. 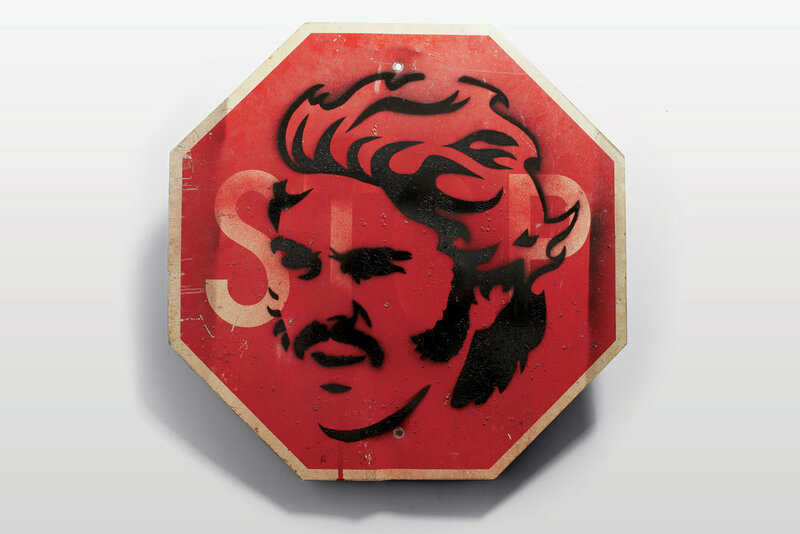 ART: The Pre:Stop (pictured) was created by the creative director for Runners World, Benjamen Purvis, for an article called That Pre Thing by our good friend Michael Heald of Portland . ART: Forest Park Print by Open Studio Collective. Artist Allison Bryan has created a gold-foil, letter press map of every runner's favorite Portland destination - Forest Park. RUN FAN SHOP: Ben Rosario's collection of fan gear will come out of retirement for this one weekend. Pick up shirts from some of the legendary college programs like Colorado, Wisconsin, Arkansas, and Oklahoma State. MORE: We've got a lot of stuff but we're willing to add to the collection. Contact us if you're interested in sharing your new or vintage items.